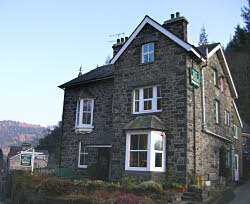 Bryn Llewelyn offers comfortable, friendly bed and breakfast accommodation in Snowdonia in the popular village of Betws-y-Coed in the Snowdonia National Park in North Wales. Conveniently located in the centre of the village in Betws-y-Coed, Bryn Llewelyn offers non-smoking bed and breakfast (B&B) accommodation with a warm welcome. This bed and breakfast was awarded the Green Dragon Environmental award for eco-friendly tourism establishments. Get £5 off per night when you book a 2 or more night stay in January, February or March. This special offer is available when you book over the phone from January to March: call 01690 710601 now for a special break in Snowdonia. 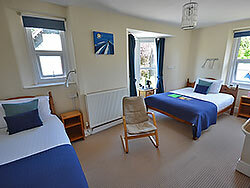 Seven rooms, all with en-suite or private facilities. Double rooms, twin rooms, family and single rooms are available. Our versatile rooms can accommodate couples, groups, families and independent travellers. Internet access via Wi-Fi is available (bring your own laptop). 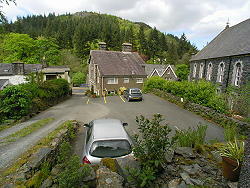 Bryn Llewelyn has its own private car park for guests use. Set in the Conwy Valley in the Snowdonia National Park in North Wales, Betws-y-Coed is an ideal location for walking, climbing, mountain biking, or enjoying the attractions of North Wales such as ancient castles and steam railways, or Zip World and Surf Snowdonia. 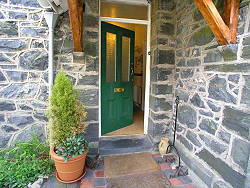 For more information about this bed and breakfast accommodation in Betws-y-Coed, please look around the website. 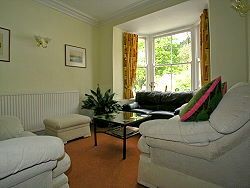 Bed & Breakfast in Snowdonia - bed and breakfast accommodation at Bryn Llewelyn including the tariff. Betws-y-Coed and Snowdonia - things to do and places to visit around Betws-y-Coed and Snowdonia. "What a wonderful time we had; great food; great hosts. Highly recommended! We would certainly come again." "Lovely stay! Thank you so much for all your help and friendliness. We’ll be back!" Content is copyright Bryn Llewelyn Bed & Breakfast, Betws-y-Coed.